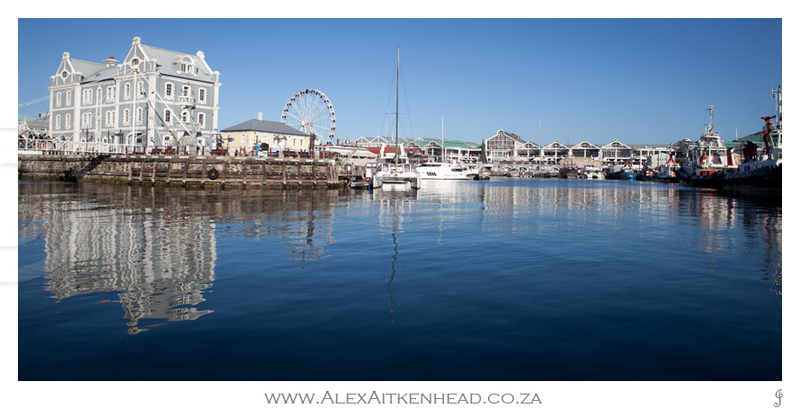 We arrived at the V&A Waterfront at 7am, and what a perfect setting for an early morning picture of this lovely centre. The boat ride is about 45 minutes long. 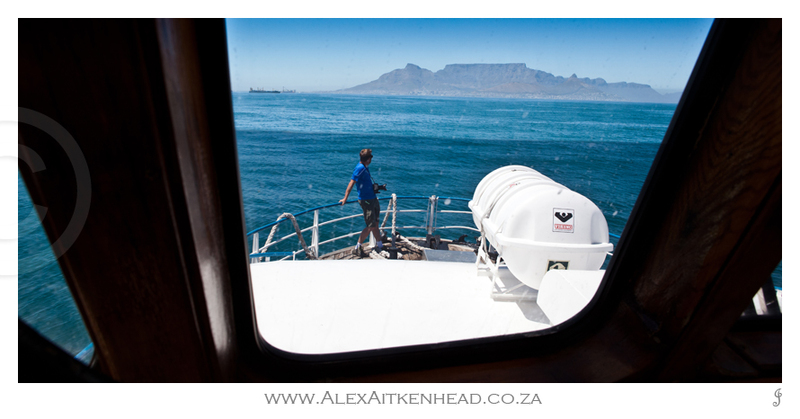 The gateway to Robben Island mainland. Each visitor is taken on a short bus ride to various places on the island. 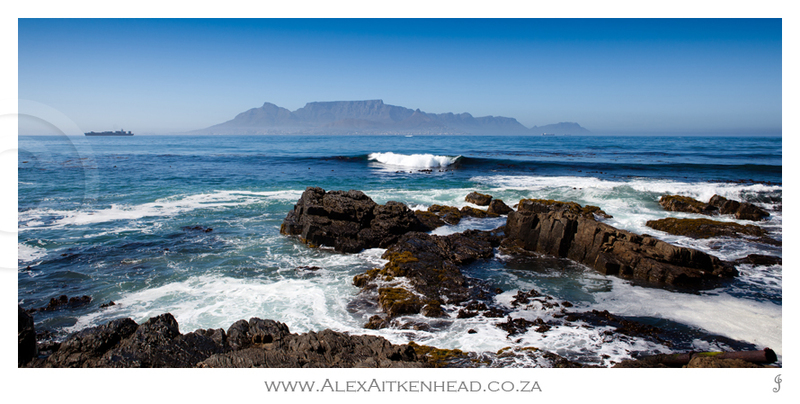 This is the spectacular view from the most southern tip of the island. 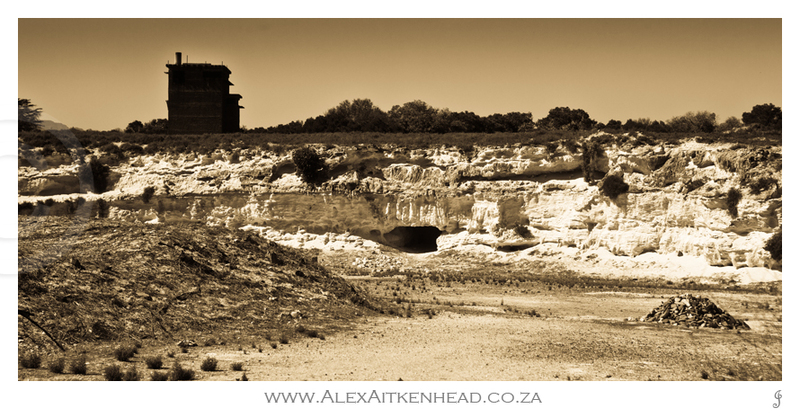 The most influential political prisoners were forced to work 8 hours of hard labour every day for 5 days of the week in this quarry. Mr Nelson Mandela was one of them. Upon his last visit to the island, he picked up a stone and placed it in memory of the political tragedy next to the quarry. Each person who were there at the time decided to follow suit and as a result the stone pile has now grown to what is seen on the bottom right of the above image. 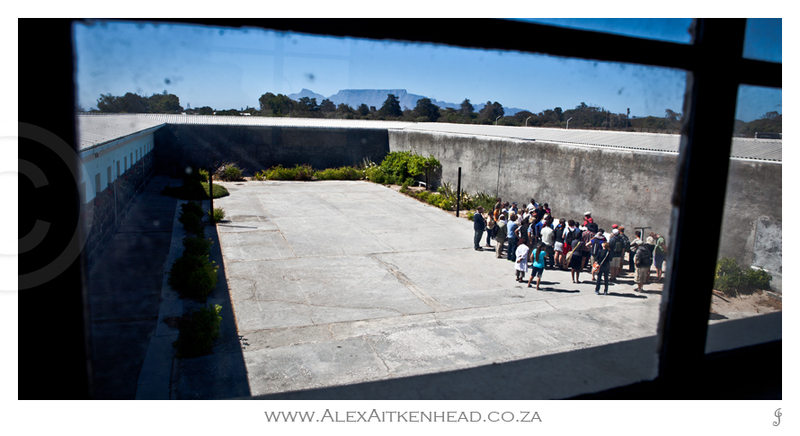 The bus tour ended with a guided walk through the Robben Island Prison. Mr Nelson Mandela received permission to plant a vegetable garden in this courtyard. Today you can still see the vine growing in the far back right corner. This is also the place where he planted many of his hidden notes of his now published books. 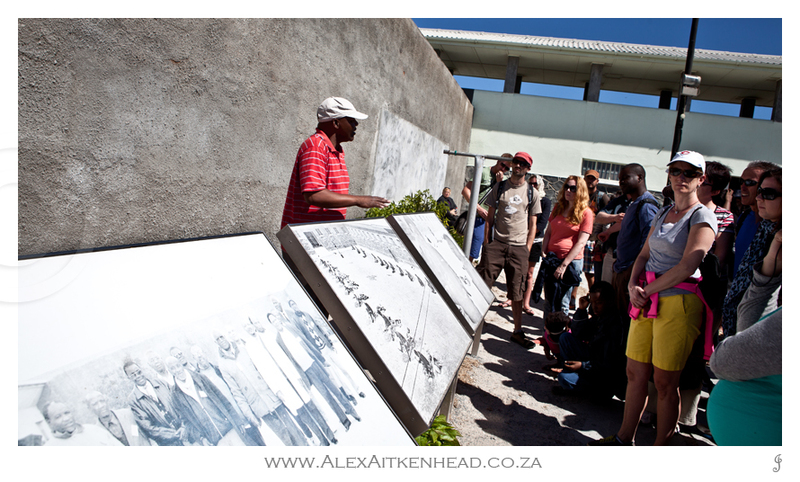 Each tourgroup received first hand information from ex political prisoners. 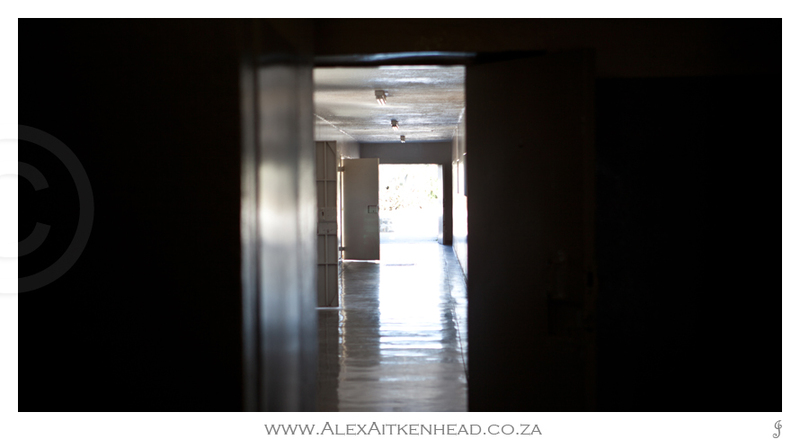 Metal doors and cold cement floors paved the way throughout the prison. 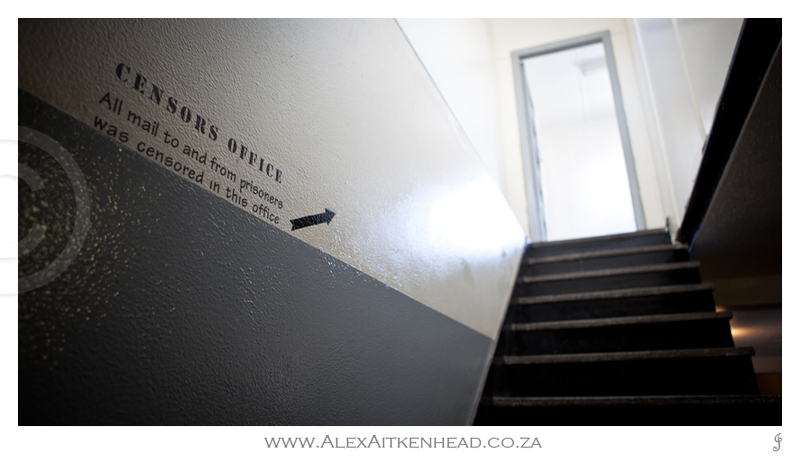 This is the prison cell of Mr Nelson Mandela. Ablusions for the prisoners. I looked at this mirror and wondered how many people looked into that mirror so many times, so many hopes and dreams. 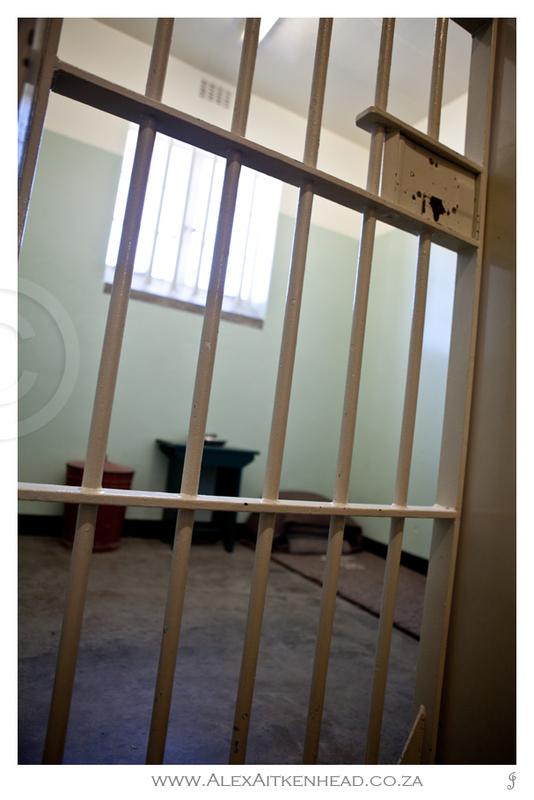 It was the only thing in the prison that really got me thinking of what it must have been like to experience life in prison. 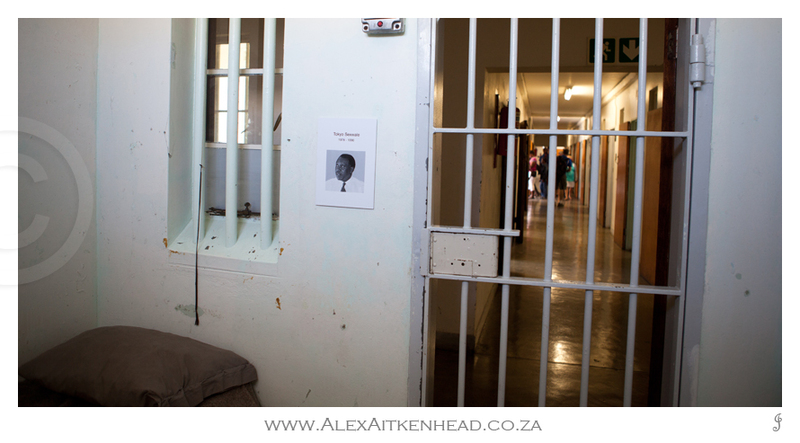 Tokio Sexwale's spot... each prisoners name and a brief memoir of their encounter is displayed on the wall inside their various cells. Cormorant ally on the Robben Island harbour wall. Every night hundreds of cormorants fly over our homes into the ocean. Now I know where they fly to. 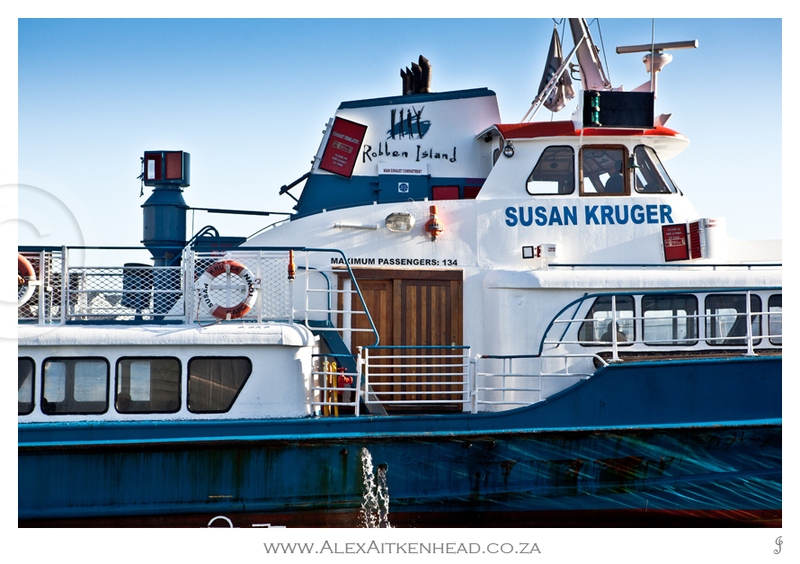 Heading back to Cape Town harbour, the captain of the Susan Kruger allowed me to also have a go at the steering of vessel. 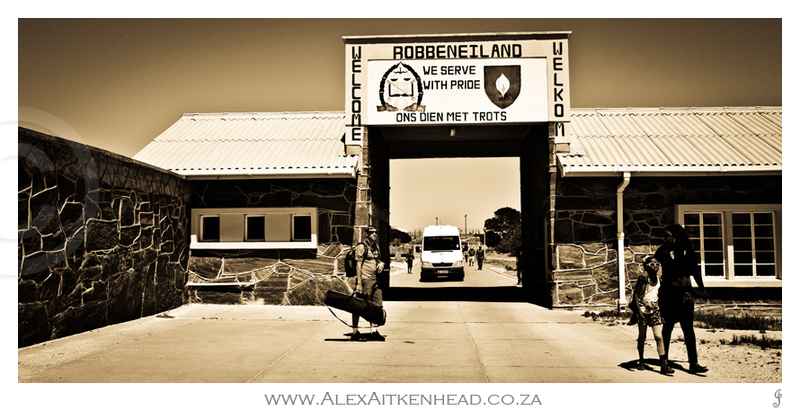 Overall, this visit to Robben Island was very interesting. The tour guides were well informed and friendly. Each person told their various stories with great enthusiasm and passion. 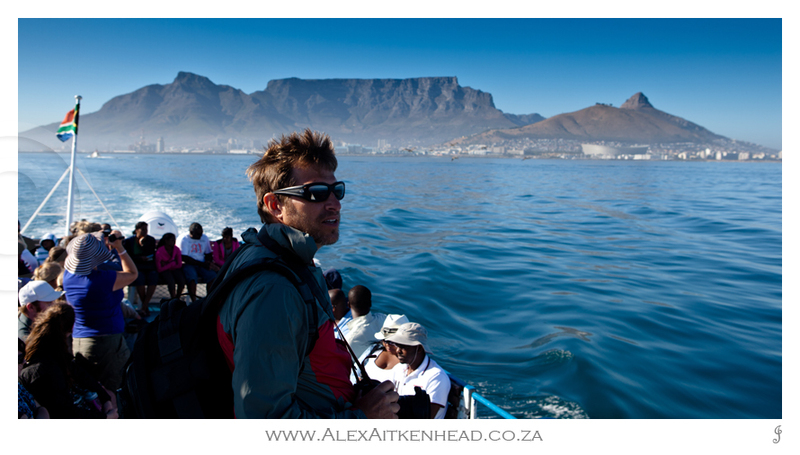 Interestingly the guide was amazed to see us (Capetonians) visiting the island. On a sadder note, the island seemed very unkempt, and we were not sure if this was because thats just the way it is, or because nobody really wants to keep this place with its sad memories in decent shape. It seems like everyone is happy to collect from the golden goose, but there is just no pride in what they have to show or offer. We did not see one raked or cleaned area. 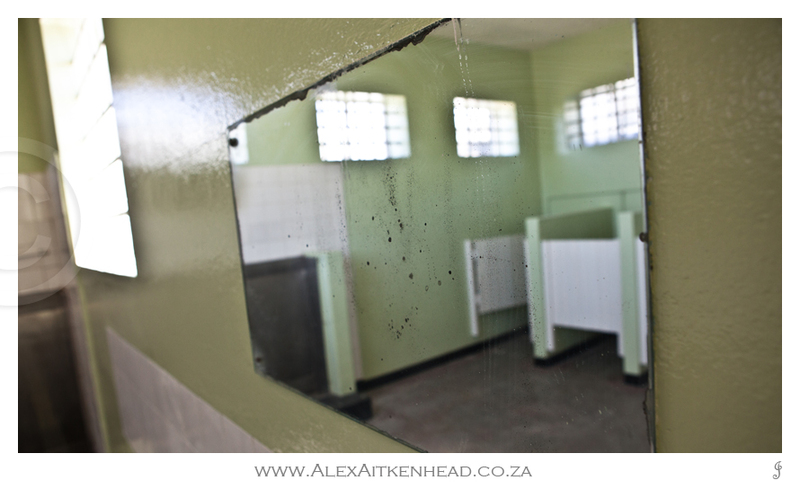 The toilets were of very poor standards (on the island, in the vessel and inside the Nelson Mandela Gateway House), and knowing that this is a huge money spinner, it was rather sad to see the state of this operation. Having the mind of an entrepreneur, this island lacked so many things that could make this an experience people can talk about. Visitors from all over the world come here on a daily basis. Thinking in the lines of coffee shop, walkways along the wateredge, and viewpoints. This island and its legacy can offer so much more for both the tourists and towards the cause which it is promoting.